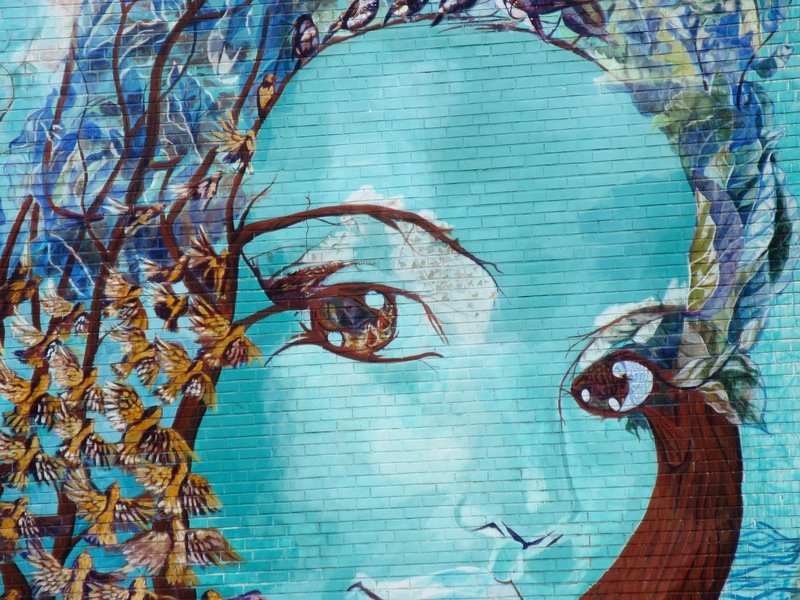 This mural is only visible from the busway or from Tay Way or College Ave where it wraps behind the Tokyo Japanese Food Market off Ellsworth Ave in Shadyside. It's worth the effort to find a vantage point to see it. Multiple artists contributed to this mural. Originally the theme was to be nature related, or all natural, to complement the business it was done on (Whole Foods). 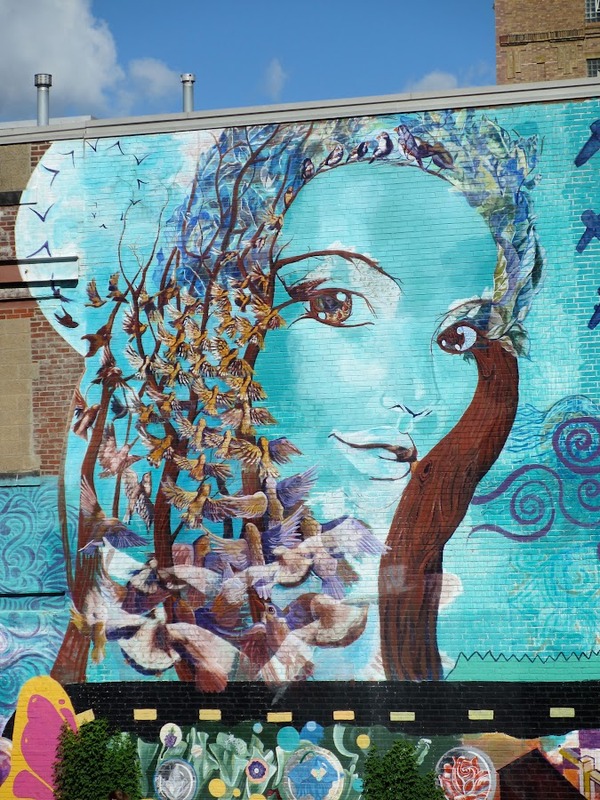 While it appears that most of the mural strayed from that original concept, the striking image of Mother Nature on the left side was done by Ashley Hodder. Since you can't get very close to view this, I'd suggest you take a telephoto lens or a pair of binoculars in order to see the detail work. It's pretty fabulous. It reminds me a lot of Bev Doolittle’s work. These next images were created by Michelle Gregio. 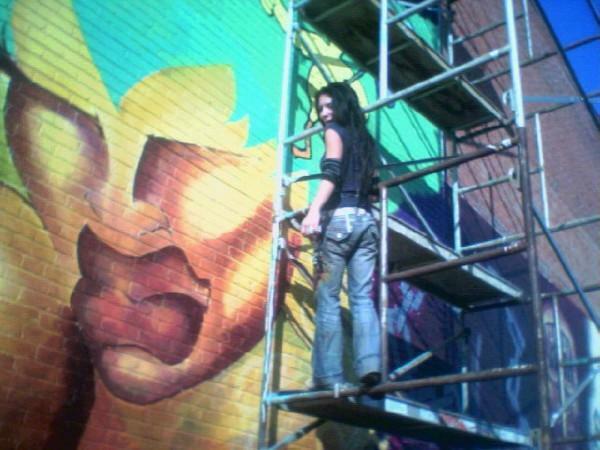 She provided the following two photographs, taken while the mural was being painted. 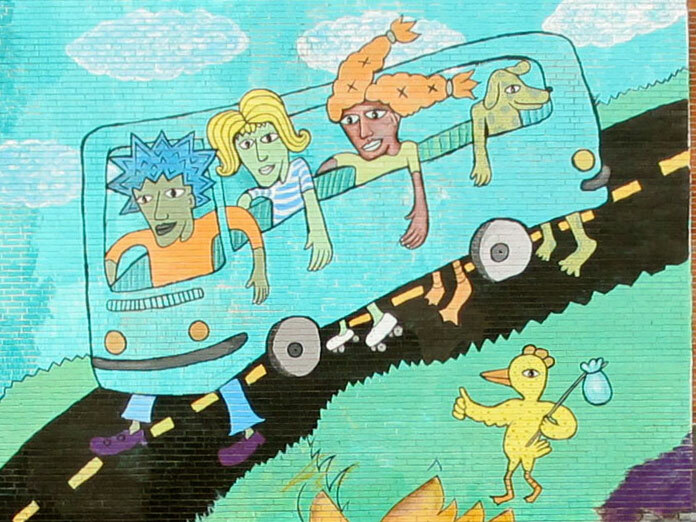 The busway figures were done by Laura Jean McLaughlin. There’s a dramatic difference in the colors from the photo above (provided by Ms Gregio while the mural was being worked on). 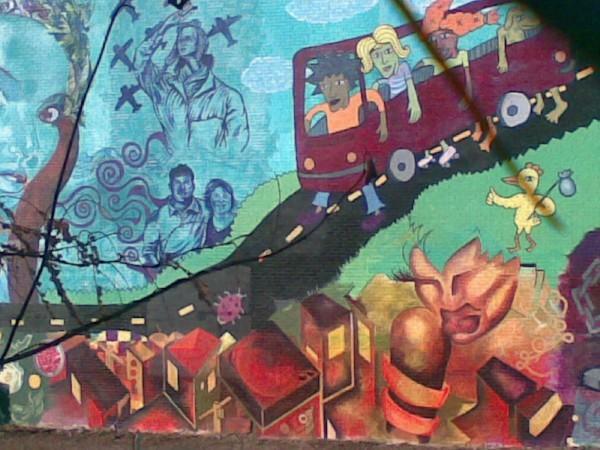 At some point the bus and other details in this section of the mural must have been repainted for some reason.